I have been forced to take a week off from my TapOut training due to increased pain from the shin splint I have on my right shin. I have been soldiering through the pain, taking some Voltarin when it was bad, just so I could get fit. Kitty pointed out that this was stupid and I should rest, which I have reluctantly agreed to, although I am only resting my legs. I have continued working on my upper body, by doing the Ultimate Abs workout and the Strength/Force workout (without the extra moves which use the legs). Still a good workout out, yet it will allow my leg to rest. I will resume my exercise on Wednesday week. So far, I have felt very little pain during my rest periods, which is a good sign that I am getting better. The weather has been turning towards the colder side this weekend, which has motivated me to collect the wood which I have left on the property to weather. If you are not aware, freshly cut wood does not burn very well. This is due to the moisture in the wood, and the oils within the wood which can cause excess creosote to damage your chimney. I have allowed this wood to sit for over a year now, and during a test burn I found it to burn very cleanly. 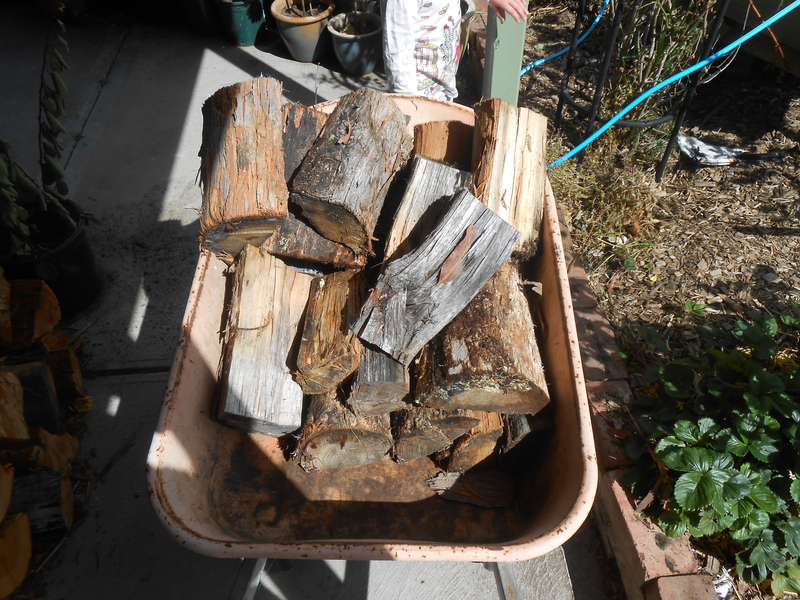 With the help of my daughter, I collected two trees worth of wood and stacked it next to the house to use for warmth. I watched an interesting documentary which I saved on my set top box the other week, it is called Training For The Apocalypse. 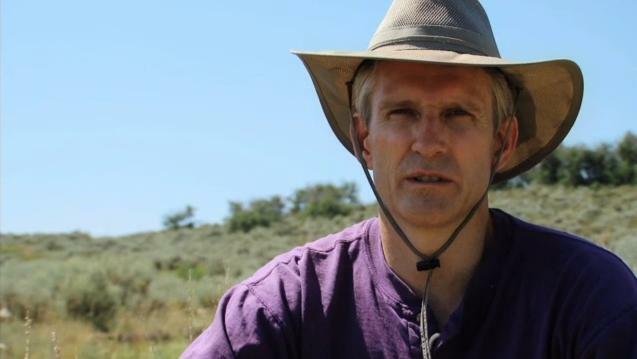 This was an interesting look at 4 different Survivalist groups in the USA. The documentary was not very positive about the people portrayed in the show. Each person was shown to be, to some degrees, mentally off centre. The three main people were shown to be a hypocrite in some way and mostly wrong about their preps. Firstly, there was Anonymous. He wore full military style gear and was really a minor aspect of the program. He boasted that he was more of a close in fighter than a sniper, proceeded to brag about his ability to be fit and ready for any apocalypse (by showing us his push ups, skipping and other physical skills). There were various shots of him working the slide on a pump action shotgun so often I was worried he would break it. At one point he attempted to demonstrate how easy it is to pull apart his pistol, and rebuild it, only to have trouble attaching the slide to the body (something he said he could do with his eyes shut, yet could not do it now as the camera was on him). He was the example of someone who thought he was prepared, thought he was a killing machine, yet could not operate under the moderate pressure of a camera crew. Anonymous demonstrating how not to look cool. There was Leland Freeborn, a pastor of a Christian group (he is an ex Mormon) who regularly prophesied the coming end of the world, only to have it pass without incident. His daughter joked at one point that he foretold that every Christmas the world would end. The pastor prophesied, at one point, that the world would end minutes after Obama took office. He went on, at a later point, to say that an ‘Obamanation… and desolation… of a most holy place… the White House.” He then went on to explain that it is a “White House”, not a “Black House”. I actually cringed when I heard this. One of his flock tried to point out that this did not make sense… as it was only due to the pastor mispronouncing the word “Abomination”, yet the pastor did not understand. The pastor went on to talk about false prophets, pointing out that the scripture does not specifically mention him. Later it was revealed that the pastor has been attempting to collect a group of women to be his brides. The pastor was quite openly racist, so much so that he made me very uncomfortable to watch. There was Brian Johnson, who was a member of Leland Freeborn’s group until he left. He was the member of the group who questioned Leland’s pronunciation of abomination. He was seeking independence for him and his family. This person seemed to be the most genuine of the characters shown in the documentary. He said he was sick of being asked for money from his last church, and again from Leland’s group, so he left to find his own way. Another person shown was Ivan Stein, a man who apparently suffered a head injury from a motorbike crash in the past which allowed him to see future events for anyone he saw. When this power was removed from him by a Acupuncturist, he decided he needed to form a Utopian society to preserve humankind. He spent most of the time looking at various landscapes, discussing breaking up with his girlfriend, not wanting children, etc. This person probably got off the lightest, by just being made to look like someone who never achieved anything. Finally there was Fernando Salguero, the man who claimed that his goal was to teach everyone to be prepared, he felt so strongly about this that he set up a survival school. After telling us this, he met with a friendly looking old neighbor who gave our man a tree for his garden. The Survivalist went on to tell us that he didn’t normally talk to his neighbors, as he would probably have to shoot them when the Apocalypse came. He seemed oblivious that he should be teaching his neighbors the skills he claimed he needed to teach people. Later, after a Survival school course, he was driving home… telling us that he refused to rely on anyone for help and that he could do everything himself. Next second, his dog escaped his car and he roamed the streets looking for it… asking for help from everyone he could and finally thanking some kids for catching his dog. He did seem like he was trying, he had a group of people who he was teaching, so I shouldn’t be too hard on him. In all, nearly everyone in this documentary was made to look like a fool and a hypocrite. Nothing was really revealed but for the insular nature of some of these groups and the many delusions onto which the members held.